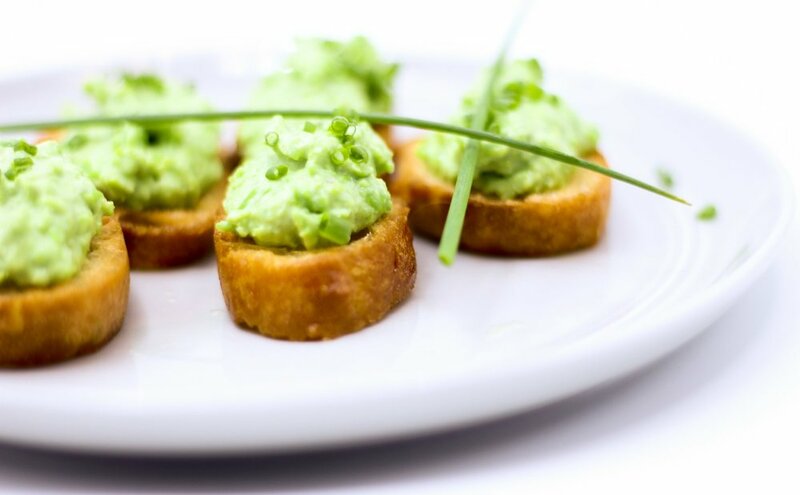 An easy and light appetizer that's perfect for springtime. With only a few ingredients, these crostini can be made in less than 30 minutes. Slice the baguette into 1/4 inch thick pieces and place on the baking sheet. Drizzle generously with olive oil. Bake for about 10 minutes or until lightly golden. Set aside to cool. In a food processor blend peas and ricotta cheese until smooth. Season with salt and pepper to taste. 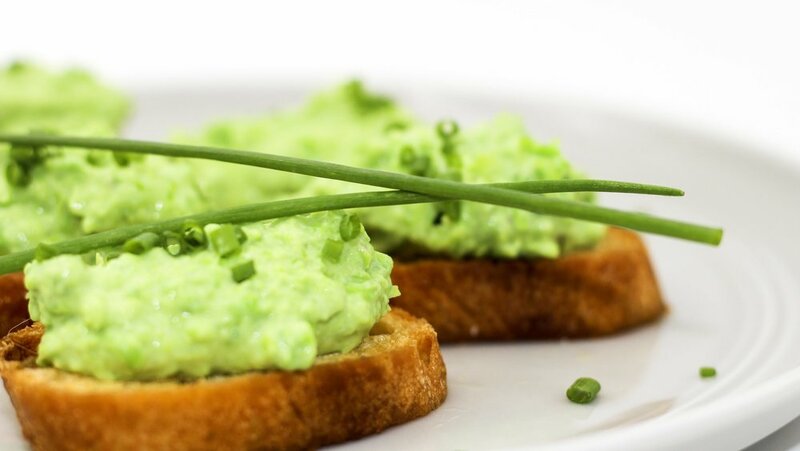 Spoon about 1 tablespoon of pea mixture onto each crostini and and garnish with chopped chives. Drizzle lightly with a finishing olive oil. Serve immediately.